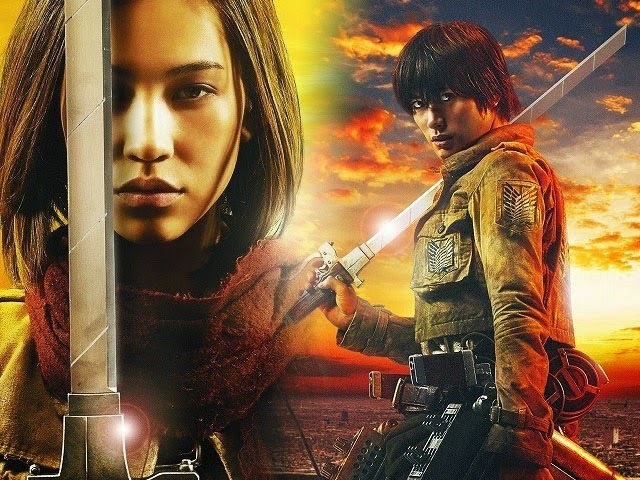 Home / ADAPTATION / MOVIE TRAILERS AND INFO / TALK OF THE TOWN / Watch the "Attack On Titan" Live-Action Film First Exclusive Preview! A Japanese television program has broadcast the first look at footage from the Attack On Titan live-action film(s). Come see the giant humanoid creatures that go around scooping up humans and eating them. Attack On Titan began in 2009 as manga and then branched out into light novels, animes, video games and now there are two live-action films being adapted by manga’s creator Hajime Isayama and screenwriter Tomohiro Machiyama. They films are being directed by Yūsuke Watanabe (Dragon Ball Z: Battle of Gods).